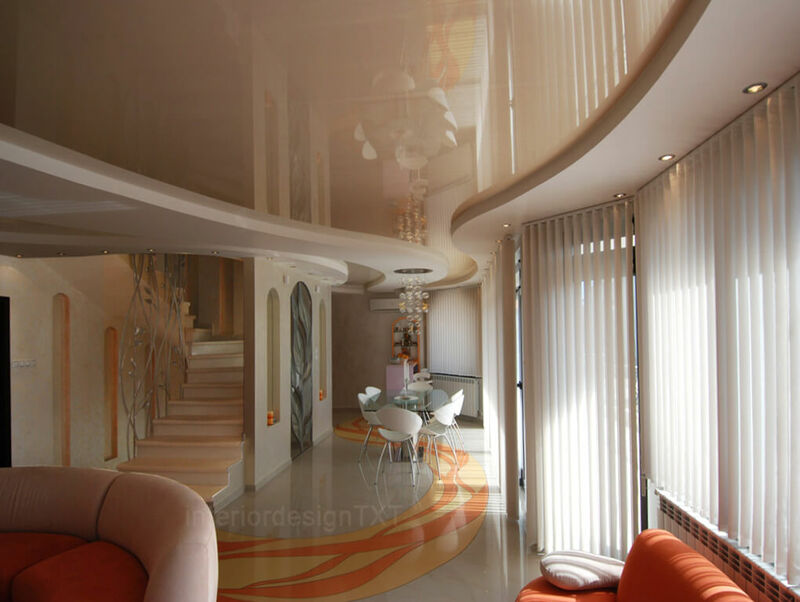 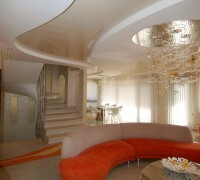 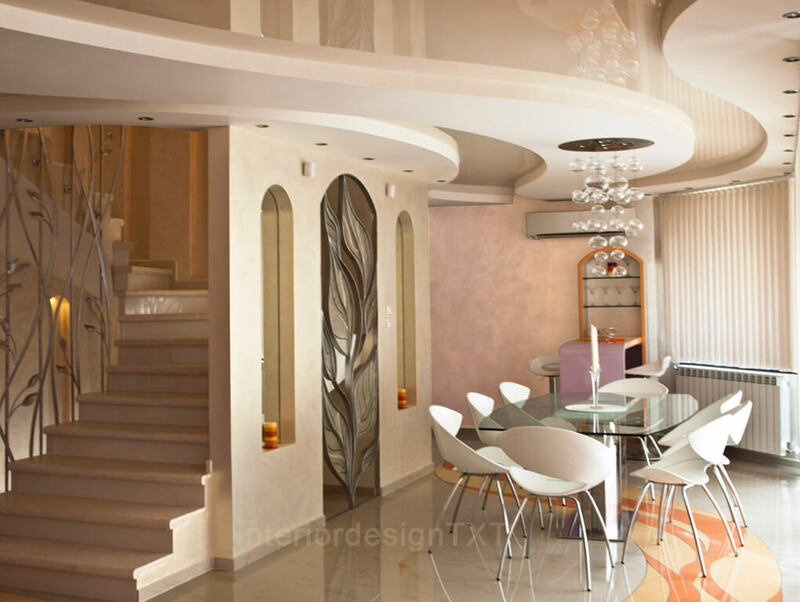 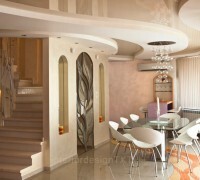 The house has an inner staircase which automatically becomes an integral part of the interior. 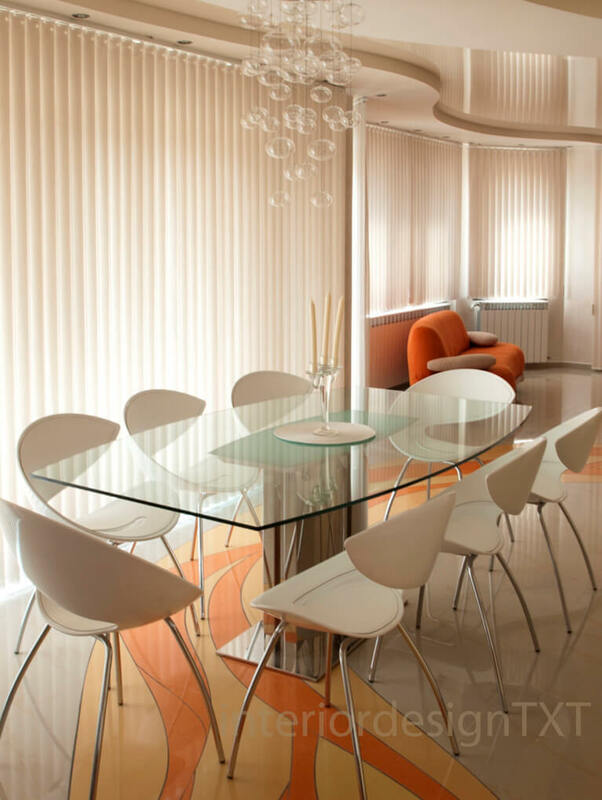 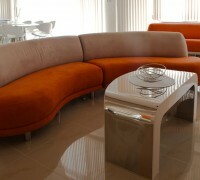 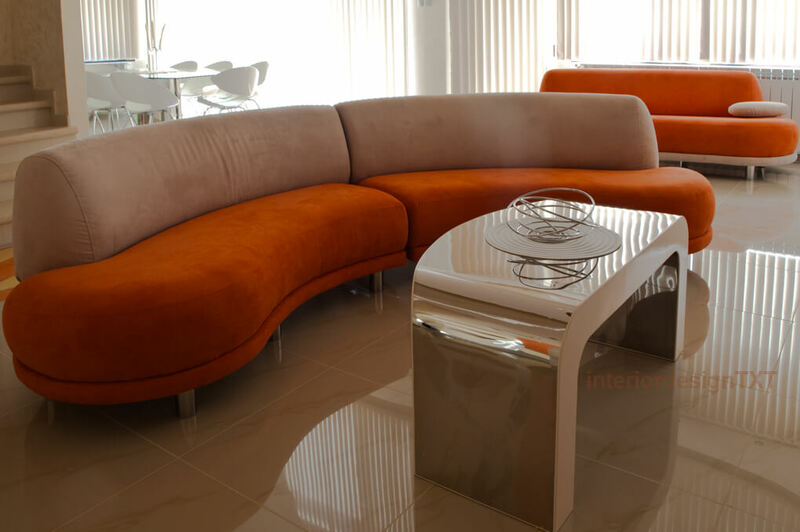 The floor is designed in a contemporary style with light and warm colors. 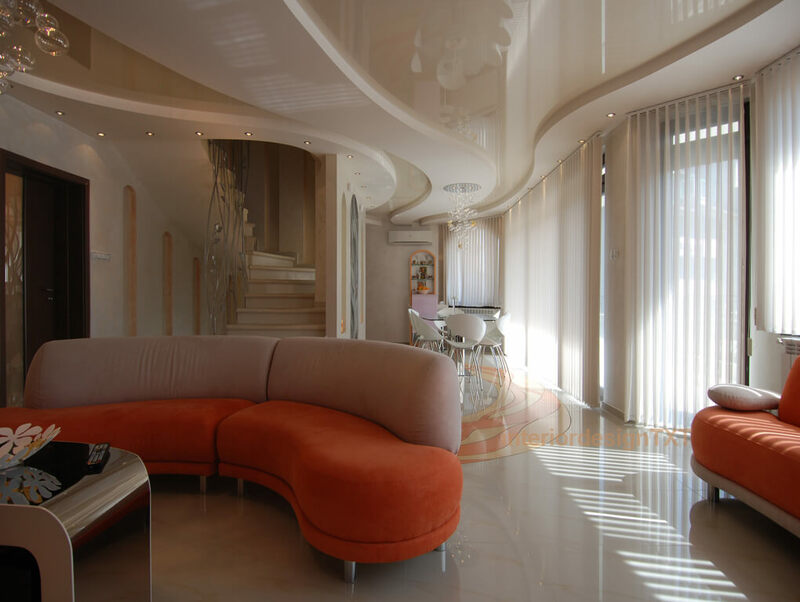 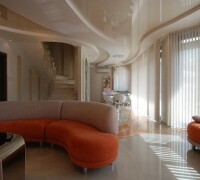 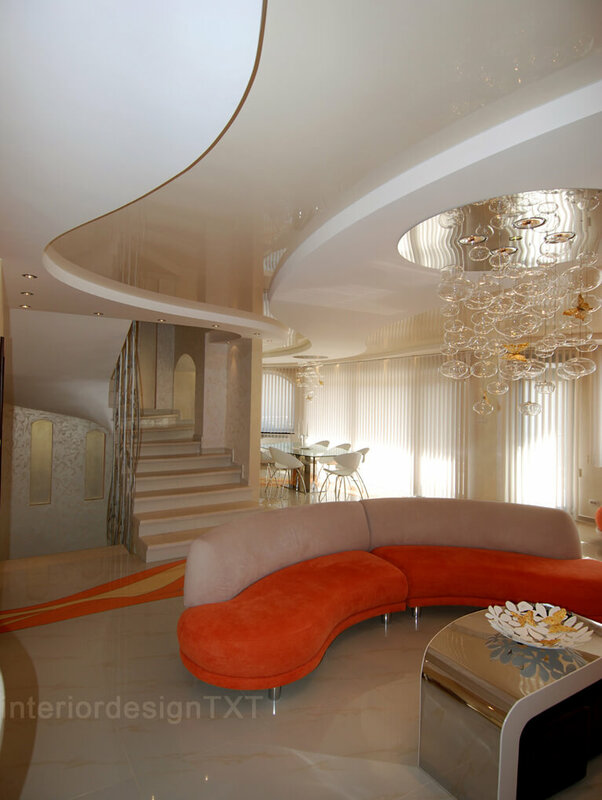 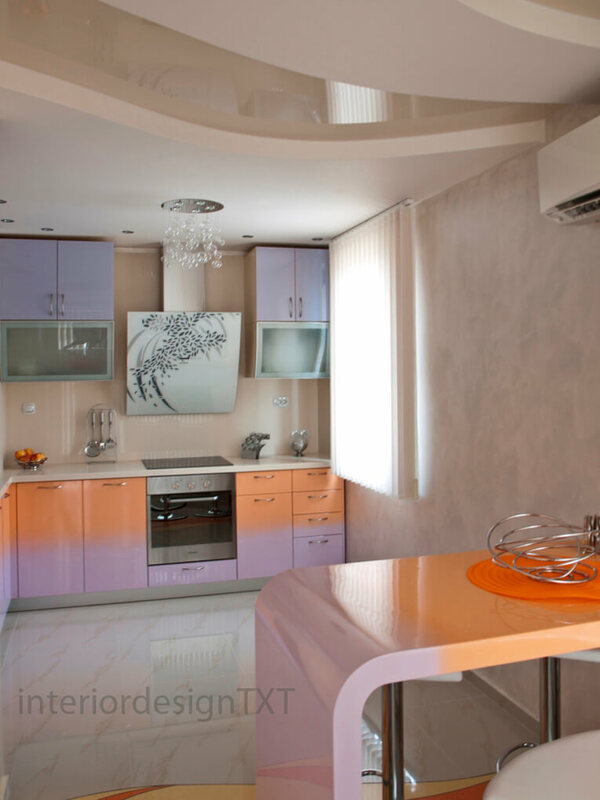 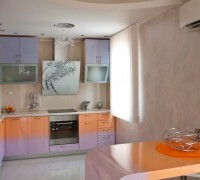 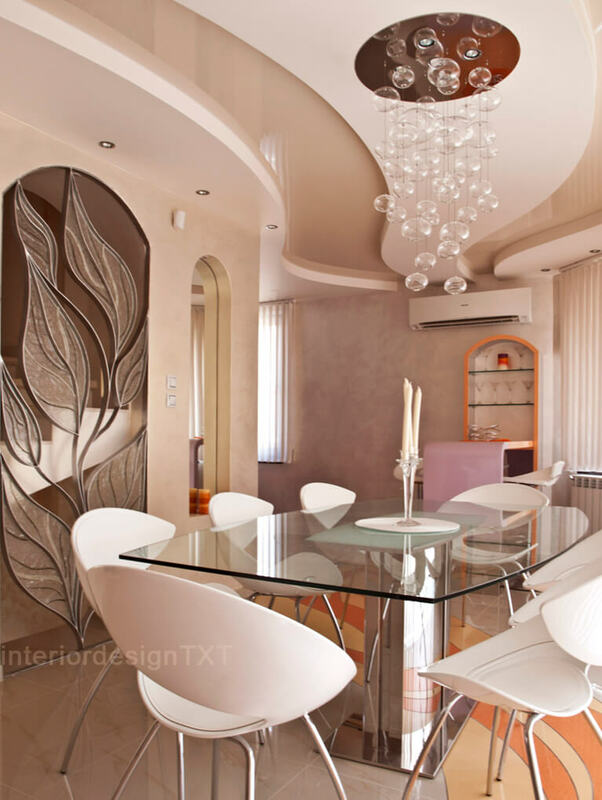 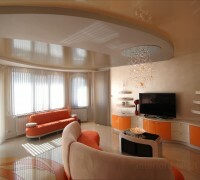 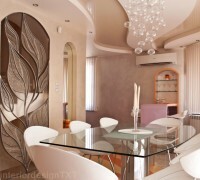 The accents and design of this floor are concentrated both in the decoration of the floor and the ceiling. 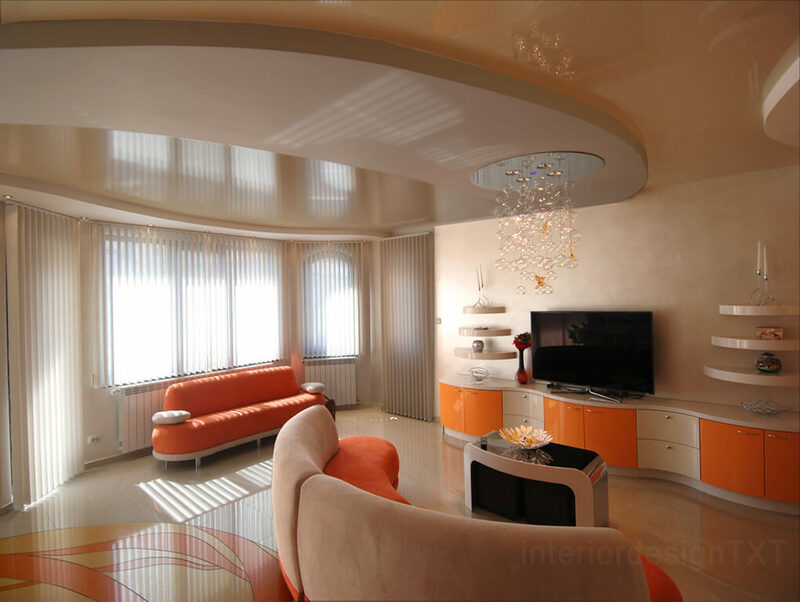 The ceiling is designed with complex curvilinear plasterboard structure, and then a stretch ceiling with a glossy acrylic canvas is coated. 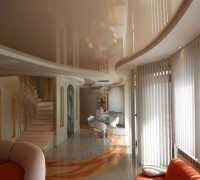 For the main figure on the floor colorful technical stone was used involving a water-jet cut process. 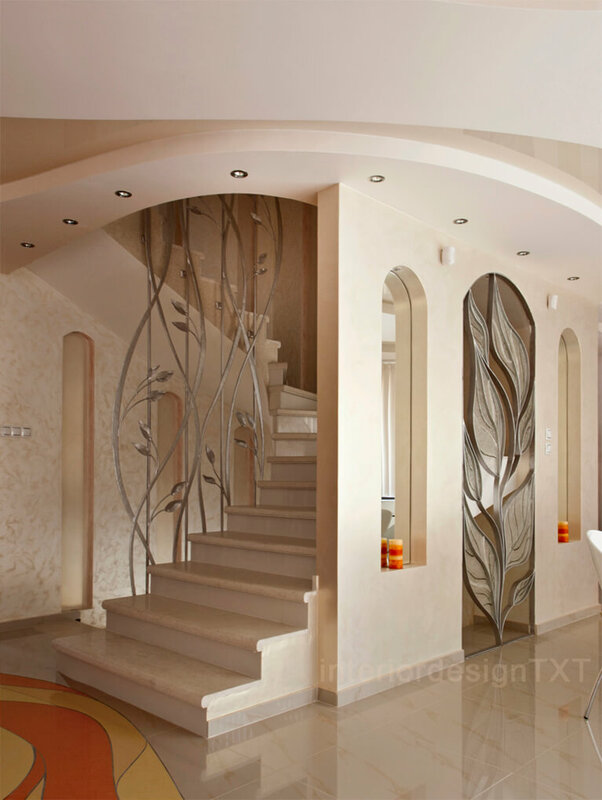 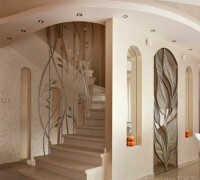 Lastly, we have also designed and prepared drawings for the wrought iron banister and arch.